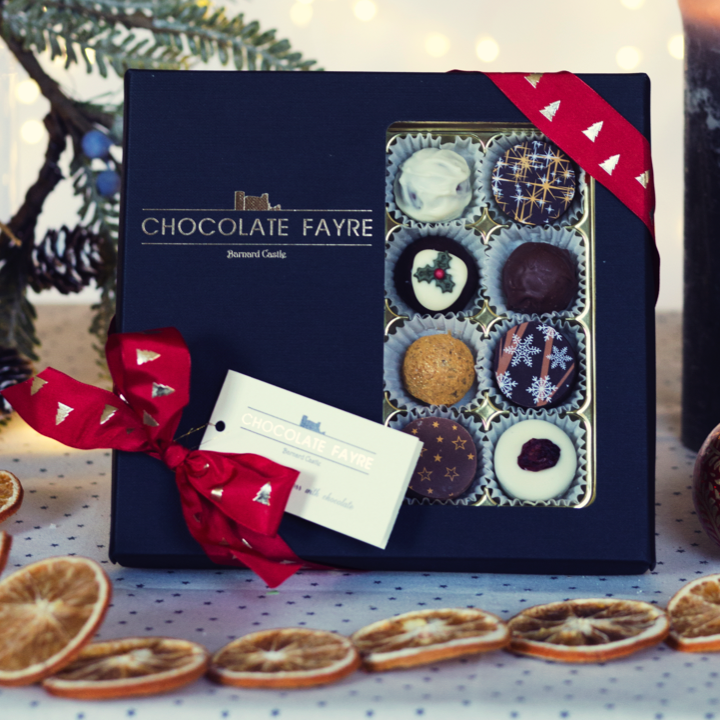 Especially for the season, we’ve created a wonderful chocolate selection, which we’ve named The Festive Cheer Collection. Filled with boozey chocolate treats reflecting Christmas and the winter season, this will make even the scrougiest of friends brighten up! It features a magnificent selection of drink-orientated tastes in milk, white and dark chocolate, including mulled wine, rum punch, Baileys, prosecco, port & cranberry, pear schnapps, to name just some of the chocolates to be specially chosen for this celebratory box of delights.